Microsoft has just showcased the ‘might be’ anticipated Windows 10 preview for Phones and small display devices such as tablets. 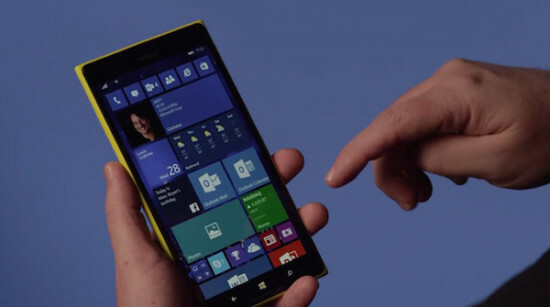 Coming from the Windows 10 preview for PC, the preview for Phones also shows a variety of improvements. The VP Joe Belfiore highlights some of the few key features that the users will benefit from. One of them is an improved Action center which allows the user to quickly interact with notifications and respond directly from the home screen rather than going into its respective app. The other cool looking feature of this Microsoft 10 preview for phones include the speed to text input which is applicable for virtually every text input on the Microsoft Windows 10. This Windows 10 preview for phones also showed slight glimpse of the improvements made to Office apps, Photos as well as improved Mail features.